At sewingmachines.com.au we have been in business for five years but have serviced the sewing machine industry for 59 years. We pride ourselves on providing a high calibre of service and selling quality products from premium brands. As such, we are proud to be a seller of Swiss brand, Elna. Elna sewing machines are easy to use, versatile and modern in design. Their range includes models to suit all purposes, from basic mechanical models to high-tech computerised machines. Elna sewing machines are known for consistently producing high quality stitches and will handle a variety of fabric types. Elna also produces a range of embroidery machines. The Elna embroidery machines incorporate the features of their standard sewing machines as well the capability of producing intricate embroidery work. Many of Elna's embroidery machines can be used as standard sewing and quilting machines as well as for embroidery. We stock a range of accessories to complement the range of Elna embroidery sewing machines. Accessories include presser and hemming feet, needles, bobbins, embroidery hoops and spool stands, to name a few. Elna is a premium brand and their product range boasts a selection of sewing machines suitable for all skill levels. We offer Elna sewing machines at the most competitive prices in-store and online. Whether you want to get to know your new sewing machine or you want to enhance your sewing skills, we offer classes that will help you understand how to use your sewing machine. We will help you with overlocking, sewing and general maintenance of your machine. Contact us for the current schedule of available classes. Do you have an Elna sewing machine Australia that is in need of service or repair? At sewingmachines.com.au we not only sell sewing machines but we also offer a repair service. You can drop your machine off to us or we can arrange to pick it up from you. Our technicians are experienced in servicing all brands of sewing machines, ironing presses and overlockers. 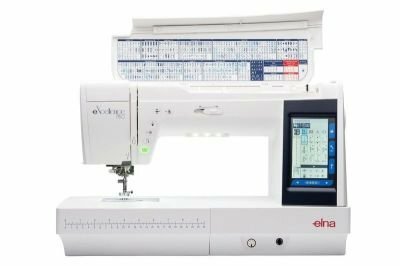 Sewingmachines.com.au stocks a wide range of Elna sewing machines at the lowest prices guaranteed. Our knowledgable staff will help you choose the perfect Elna machine to suit your needs. To view the range, visit our store in High St, Glen Waverly or browse our collection online. Free shipping applies for all orders delivered within Australia.